Heidi McIntosh’s first case as an environmental lawyer in the early 1990s was an attempt to block a coal mine in a remote red rock region of southern Utah. The area is a treasure trove of dinosaur fossils, archaeological sites and gorgeous scenery. The effort could not have been more successful. In 1996, President Bill Clinton permanently protected the Kaiparowits Plateau when he designated Grand Staircase-Escalante National Monument. Or so, at least, he thought. Now, 21 years later, President Donald Trump has slashed that monument by nearly half. The paleontologists’ wonderland where Andalex Resources wanted to mine coal now lies outside Trump’s new boundary lines. And McIntosh is again fighting to protect the Kaiparowits and its treasures as a lead attorney for a broad array of environmental groups. McIntosh also represents many of the same groups in a parallel effort to block the downsizing of Bears Ears National Monument, which President Barack Obama created in 2016. Trump designated two much smaller monuments, Indian Creek and Shash Jáa (the Navajo word for Bears Ears). Together, the two replacements cover only about 15 percent of the land in Obama’s Bears Ears. Trump’s actions were an unprecedented setback for the conservation of public lands, and they have unleashed a torrent of litigation. The plaintiffs include five tribes, archaeologists, paleontologists, photographers, climbers and businesses — and all of them have done their homework. They have extensive reports documenting the rich cultural, scenic and recreational resources that Trump has removed from Bears Ears and Grand Staircase, and they are determined to use the courts to restore the original boundaries and uphold the principle that only Congress can eliminate a national monument and the high level of protection it affords. Five tribes — Navajo Nation, Zuni, Hopi, Ute and Ute Mountain Ute — led the original push for the creation of Bears Ears to protect their ancestral lands. Now, those five tribes have separately sued the president to restore protection to all 1.35 million acres. 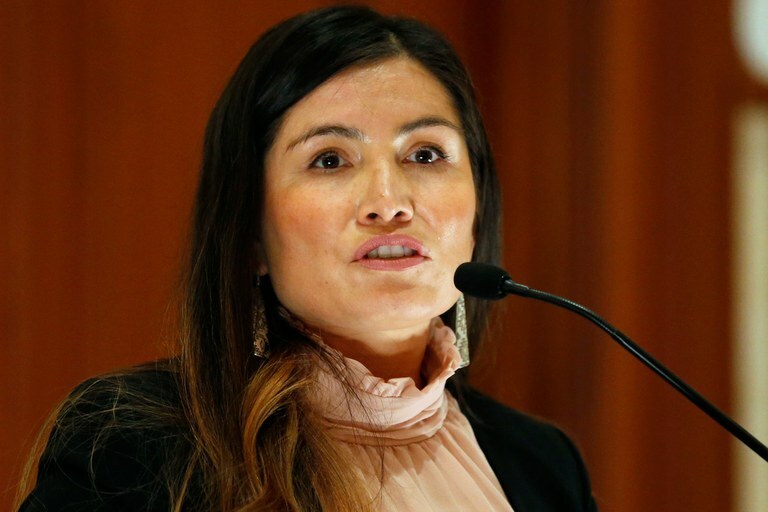 “We want to ensure that those lands and the knowledge that is tied to those lands are preserved and protected … and that our ways of being can continue to exist,” said Ethel Branch, attorney general of the Navajo Nation, one of the plaintiffs. Another complaint was filed by an assortment of Bears Ears’ advocates, including Utah Diné Bikéyah, a Native American nonprofit group that began advocating for the monument in 2010, along with Patagonia Works, Friends of Cedar Mesa, Archaeology Southwest, Conservation Lands Foundation, Access Fund, the Society for Vertebrate Paleontology and the National Trust for Historic Preservation. 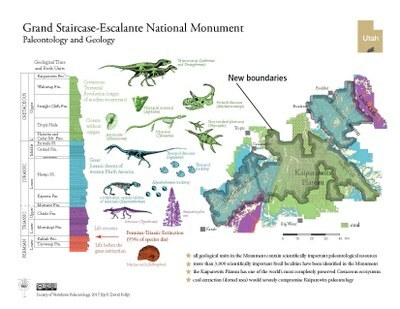 Grand Staircase Escalante Partners, a local group that supports that monument, also filed a suit with Conservation Lands Foundation and the Society of Vertebrate Paleontology. That makes three suits defending Bears Ears and two on behalf of Escalante, all filed in U.S. District Court in the District of Columbia. Most have been assigned to Judge Tanya Chutkan, appointed by Obama in 2014. Ironically, monument supporters also see the same part of the Antiquities Act as crucial to their cases, arguing that tens of thousands of artifacts and other important religious, cultural, historic, scientific and scenic features were left out of the reduced boundaries. The tribes’ lawsuit asserts that by excluding so many previously protected objects, Trump’s proclamation must be seen as revoking Bears Ears, not just modifying it. Either way, they assert that his action was illegal. A 2016 report by the coalition of pro-monument tribes mapped hundreds of important archaeological sites, most of them now outside of the new monuments. For instance, the White Canyon area, which Trump excluded from Bears Ears, holds artifacts from the region’s earliest inhabitants — the mammoth and bison hunters of the late Pleistocene. White Canyon also contains many “Nahonidzho,” or “escaping places,” where Navajos hid during the Long Walk, the 1864 deportation of the Navajo people by the U.S. government. “Bears Ears is an area with objects all over the place. I’m confident we’ll be able to show that,” says Charles Wilkinson, a University of Colorado law professor who specializes in public land and Indian law and is representing the Ute Mountain Ute, Zuni and Hopi tribes in court. Valley of the Gods, in the southern end of the original Bears Ears, is sacred to the Navajo and an important paleontological site. It’s excluded from the new monument. Another area highlighted by Obama for its extraordinary features but left out by Trump is the Valley of the Gods in the southern end of the original Bears Ears. Obama’s proclamation declares: “The towering spires in the Valley of the Gods are sacred to the Navajo, representing ancient Navajo warriors frozen in stone.” Paleontologists also value the area because fossils of some of the earliest vertebrates to walk in North America have been found here. Trump justifies his decision by saying that Valley of the Gods is already protected as an area of critical environmental concern, a special Bureau of Land Management designation. But it’s misleading for the Trump administration to suggest that other protective designations are as strong as monument status, says Justin Pidot, one of the tribes’ lawyers, who is an associate law professor at the University of Denver and a former deputy solicitor at the Interior Department. “No judge will buy that lie. It doesn’t pass the laugh test. If nothing is changed (in the level of protection) there would be no point in a monument designation,” he says. 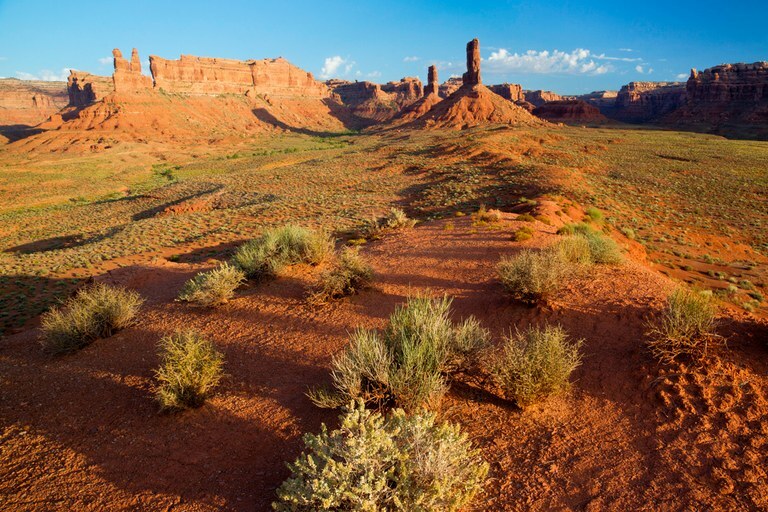 Under a 2008 management plan, the BLM closed the Valley of the Gods to oil and gas leasing. But a future plan could reopen it, and starting 60 days after Trump’s announcement, miners can stake claims for uranium, potash or other hardrock minerals in the Valley of the Gods or any other part of the original monuments that are not within Trump’s monument boundaries. Many areas left out of Trump’s new version of Bears Ears will be reopened for oil and gas drilling, including White Canyon and Lockhart Basin, an archaeologically rich area popular with climbers. Similar examples abound outside Trump’s new boundaries for Grand Staircase-Escalante as well. The Kaiparowits Plateau, for instance, is home to the Straight Cliffs Formation, where the coal beds are interlaid with abundant fossils that provide insights into a period of time “that cannot be studied in detail anywhere else in the world,” according to the paleontologists’ lawsuit. Since 1996, 12 new species of dinosaurs have been discovered there. While Clinton’s monument ended Andalex’s coal-mining ambitions on the plateau, Trump’s action has rekindled that prospect. One key legal strategy of Grand Staircase-Escalante’s defenders does not apply to Bears Ears, however. Since 1996, Congress has repeatedly endorsed and acknowledged Clinton’s monument. “Grand Staircase has been around over 20 years,” says McIntosh, managing attorney for Earthjustice’s Rocky Mountain office. “Congress has acted numerous times in ways that essentially ratify the monument” — providing money to buy back coal leases and regularly funding the monument’s budget, for example. It even increased the boundaries through land exchanges, when Utah swapped state-land parcels within the monument for mineral-rich parcels in other areas so it wouldn’t lose out on revenues. Congress also gave Utah $50 million. “We think those actions taken together confirm that Congress has ratified the monument and the president can’t undo it,” Bloch says.